Clack® Metered valves are metered for greater efficiency and reduced salt usage, because regeneration of the softener resin is based on water consumption. Push button settings provide ease-of-use. Model selection is typically based on water hardness, water usage, water source and other factors. 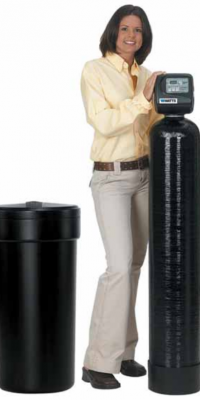 The models listed below are complete systems using standard mineral tanks, resin, metered control valve, by-pass valve and fully assembled brine tank, with safety float valve to prevent brine water overflow. 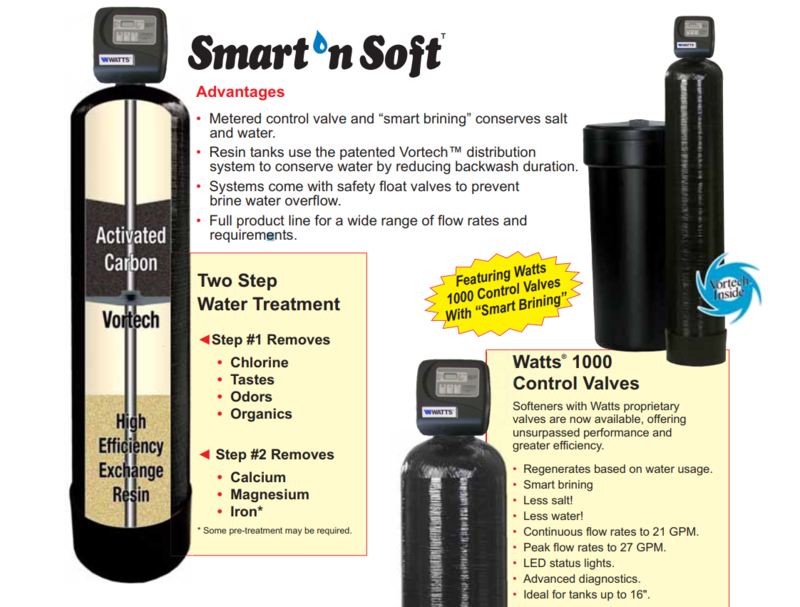 Less reliance on water softening products. Dramatic reduction in soap usage. Manageable hair because shampoo works better. costs because scale is virtually eliminated. Spot-free car wash (if softened water is used). Tri-Plex conditioners come with a ten year limited warranty on control valves, mineral tanks and brine tanks. For more details please refer to our owners manual.